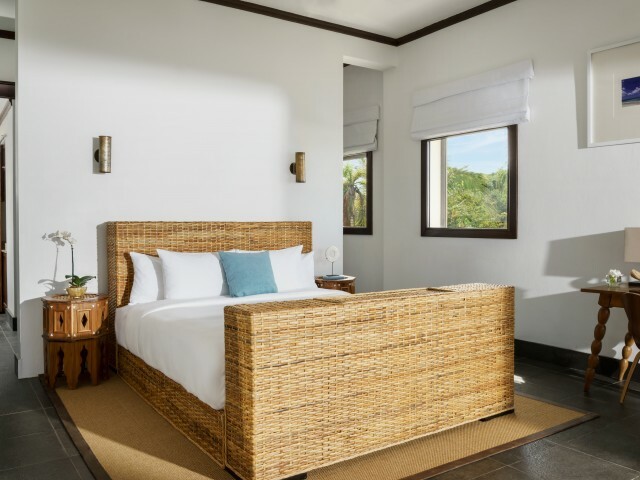 Our Studios measure 700 square feet and featurea king bed, spacious spa-style bathrooms with double vanities, walk-in glass showers, deep soaking tubs, and private furnished balconies with ocean views. Our spectacular Penthouse Residence measures 2,056 square feet and features two king bed room and a room with two queen beds, each with en-suite. 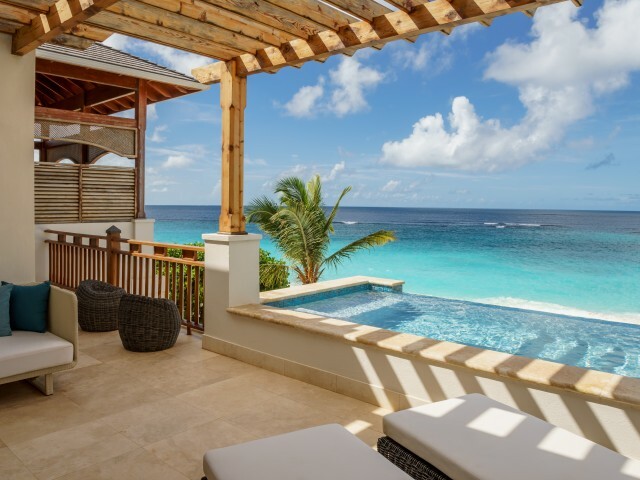 Featuring superb ocean views, this exquisite suite is located on the highest floor and has a 1,475-square-foot private furnished rooftop terrace with a private plunge pool, large living room, fully equipped kitchen and guest bathroom. 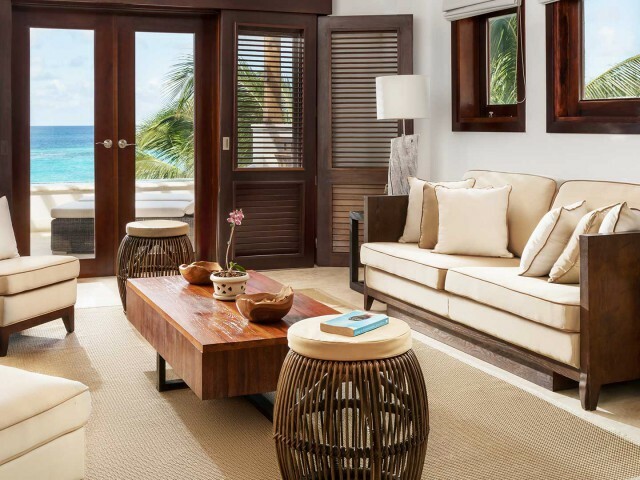 Our luxurious 2,826-square-foot 3 bedroom Beachfront Residence features three king beds, each with full en-suite bathrooms. Located directly on the beach, this beautiful condo has a private pool overlooking the water, a large living room and private terrace, fully equipped kitchen and guest bathroom.